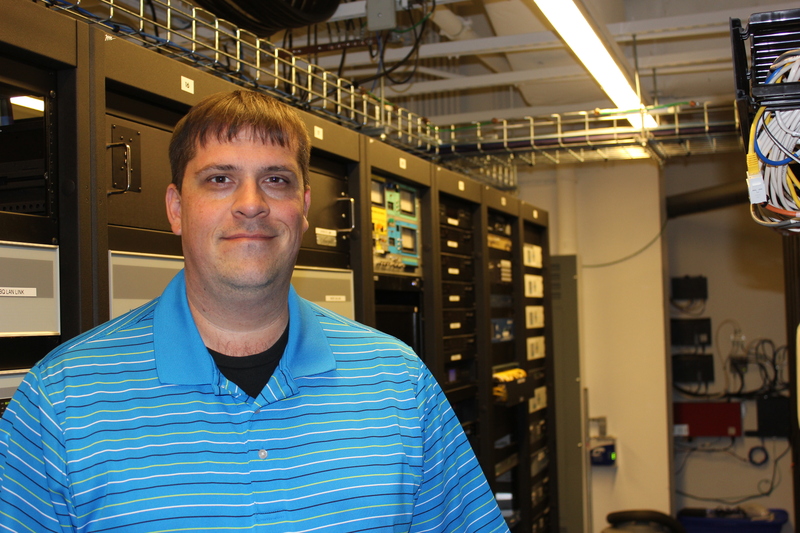 Board of Directors | ARCCC, Inc.
Rusty grew up with a father who was dedicated to his broadcast electronics career. 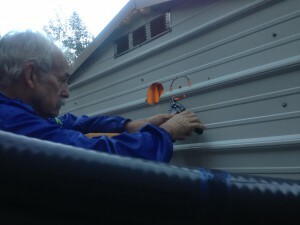 With being constantly on-call to remedy off the air emergencies as well performing routine maintenance after hours, Rusty came to understand the importance of organization and coordination as well as receiving a first hand/on the job training at a very young age of electronic troubleshooting and repair. Growing up in Columbia County Rusty graduated from Evans High School and soon after started working for Columbia County which he is still currently employed. Rusty enjoys many aspects of amateur radio to include but is not limited to fox hunting, operation footprint, repeater maintenance, field day operations, frequency coordination and radio programming and standardization. Walter has been a broadcast engineer for over 50 years in the area and retired at the end of May 2014. He has recently rekindled his love for amateur radio. Within his last several years in amateur radio, Walter has spearheaded and participated in many projects which have been completed and are easily maintained. Walter is currently working to update this bio. Shannon was born in June 1982 and grew up in Grovetown, Georgia where she graduated from Harlem High School in 2000. Shannon graduated in 2001 from Augusta Technical College with horticultural degree. Subsequently she grew to like the medical field and graduated from Augusta Technical College in 2007 with her CNA (Certified Nursing Assistant) degree and received her CNA license in June of 2008. Following receiving her CNA license Shannon started working for Georgia War Veterans Nursing Home. In 2011 Shannon transferred to Augusta State Medical Prison and began working as a Telemedicine Technician. 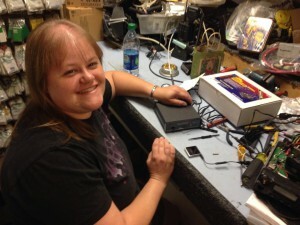 Shannon was introduced to amateur radio by several friends and received her Technician Class license in October of 2012. She enjoyed the hobby so much she quickly received her General Class license in October 2013 and then received her Extra Class license in November of 2013. Since becoming involved in the amateur radio hobby she became a Volunteer Examiner and thoroughly enjoys giving back to the amateur radio hobby. Shannon is a member of both the Columbia County Amateur Radio Club and Amateur Radio Club of Augusta. She was voted in as the Columbia County Amateur Radio Club Secretary in April 2014 and received a nomination and voted in as the Secretary for the Amateur Radio Club of Augusta in November 2014. Shannon has also been the Secretary for the CSRA and ARCA Repeater Committees since April 2014. Shannon enjoys kit building, DXing at Field Day events and loves to participate in all types of amateur radio related activities. Howard was born in 1941 and grew up in Texas for the most part. He was drafted into the regular Army through the Texas National Guard in 1961 during the Berlin Crisis and spent 20 years on active duty with the Army Signal Corps and retired in 1981. He immediately went to work for a contractor in the Washington / Northern Virginia area. Eventually Howard retired from industry at Fort Gordon in 2007. While in the active Army, Howard served in grades E-6 to O-4 working in the fixed station communications electronics arena. The Army also put him through undergraduate and graduate school. 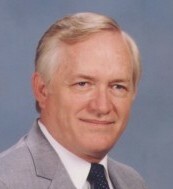 Howard’s entire career with industry was devoted to the development of software based communication performance models of Army tactical communications systems . He was originally licensed in late 1956 with his current call of K5JCP. He has been an avid collector of vintage communications receivers for over 45 years. Howard’s primary interest in ham radio has been, and still is, restoration of the old receivers and building various equipment. Howard has lived on the outskirts of Harlem, GA since 1985. He is married with a son, daughter and 4 grand daughters. Originally from the mountains of western North Carolina, Eric has traveled around the world a couple of times. He retired in 2014 after 21 years in the Navy working in the information dominance field as a foreign language analyst. After retirement, Eric did a short tour as a garden sales associate at The Home Depot in Evans, GA. Currently, he is a full-time student at Augusta Technical College in the Horticulture program. Licensed in March 2014, he upgraded to General in January 2017. He enjoys field day, fox hunting, amateur satellite communications, tinkering, helping with repeater maintenance, and exploring the lesser known segments of communications.